The view looks south along Chowringhee Road with impressive array of private and public buildings on the far side of Maidan. The Monohurdass Tank in the foreground and General’s Tank beyond can be seen with sight of the spire of St Paul’s Cathedral on the skyline at the extreme right. 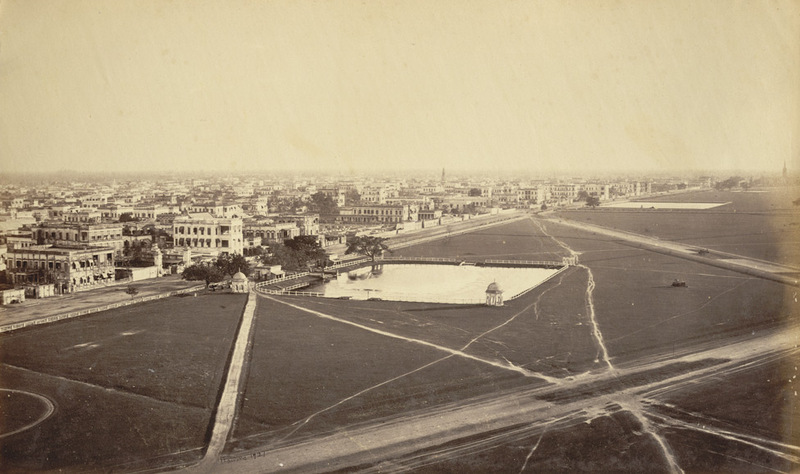 This is the section 7 of the ‘seven-part panorama of Calcutta from the Ochterlony Monument’ taken by Samuel Bourne in 1868.